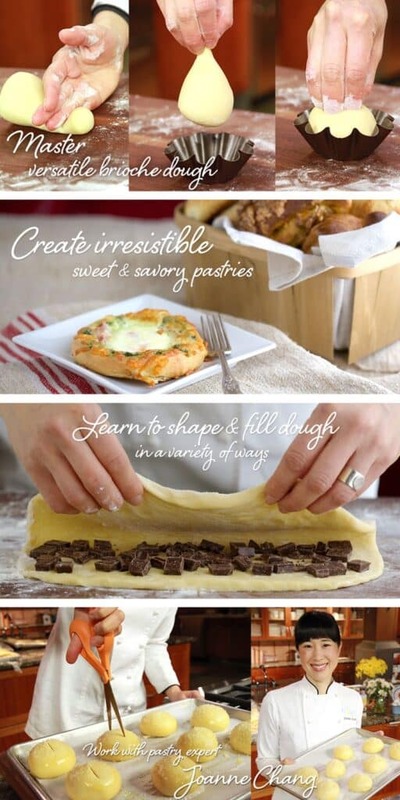 You are here: Home » Giveaway: Learn how to make authentic brioche pastries! 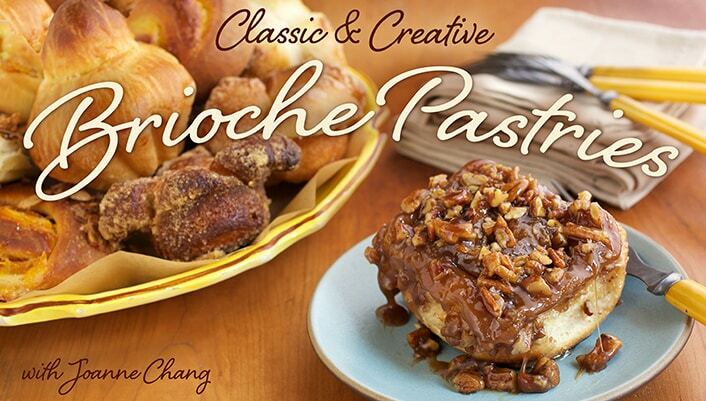 Giveaway: Learn how to make authentic brioche pastries! You guys!! I am giddy over today’s giveaway from Craftsy. I just spent the past ten days playing in Montreal, exploring the city and eating as many French pastries as humanly possible. We stopped in almost every boulangerie and patisserie within walking distance of our loft and they were all spectacular. I can hardly wait to try my hand at recreating some of these amazing treats. This Craftsy class is my first step along that path and I am thrilled to be giving one of you the chance to take the class as well! All you have to do is sign up for a free account with Craftsy, (If you already have a Craftsy account, just click the link and you’ll be automatically entered!) and enter to win a class with the very talented Joanne Chang. What are you waiting for? You have nothing to lose, and you’ll have pure deliciousness at your fingertips, if you win! HOW TO ENTER: Click here to visit the Craftsy website, sign up for a free account, and enter the giveaway. If you already have a Craftsy account, just sign in and click enter! One entry per person. Giveaway ends Friday, August 8, 2014 at 11:59pm MST. Be sure to like BFITK’s Facebook page to see the winner announcement! If you aren’t the lucky winner, don’t be sad! I will be sharing a special 50% off discount link for the class when the winner is announced! Barefeet In The Kitchen is a Craftsy partner and this post is sponsored by Craftsy. All thoughts and opinions given are my own. « 15 Delicious Gluten Free Desserts – NO special ingredients!